NEW YORK, NY - 04 June, 2016 - At Will Radio (AWR), the podcast network and production company founded earlier this year by Glee-star Jenna Ushkowitz and acclaimed restaurateur Will Malnati, announced today that The Secret Room has joined the new-media startup’s roster of shows. Highlighting the deepest and most fascinating of the secrets that have been anonymously submitted to the show, The Secret Room features weekly interviews from hosts Ben Hamm and Dahlia Beta with guests who have never before shared their stories. In the weeks following the launch of Season One in late February, The Secret Room quickly caught the attention of At Will Radio and an international audience. Reaching as high as #3 on the U.S. iTunes Top Charts for podcasts in the Personal Journals category, The Secret Room ranked behind only WBEZ’s This American Life, which is routinely ranked among the iTunes’ overall top three most listened to podcasts, and the extremely popular true-crime podcast Criminal from Radiotopia. The Secret Room is AWR’s fifth podcast show, with episodes like “Celebrity Makeup Artist,” “Ashley Madison Gentleman,” and many other previously untold stories of money, lust, deceit (and even goodwill). The Secret Room Season One finale, which aired Monday, featured two men recounting their ill-advised youthful attempt to dodge a speeding tickets. It was recorded in front of a live audience. • The Drop-In with Will Malnati: the host's candid conversations with interesting people. Recent guests include Sebastian Stan (Captain America: Civil War), Taylor Kitsch (True Detective), Steve Levitan (Modern Family) and Evan Peters (X-Men: Apocalypse, American Horror Story). • Infinite Positivities with Jenna Ushkowitz: taking topics from her book Choosing Glee, Ushkowitz speaks with authors, experts and other people who inspire her. Recent guests include Nina Dobrev (Vampire Diaries), Michelle Tan (Editor in Chief at Seventeen Magazine) and Kristin Chenoweth (Wicked). 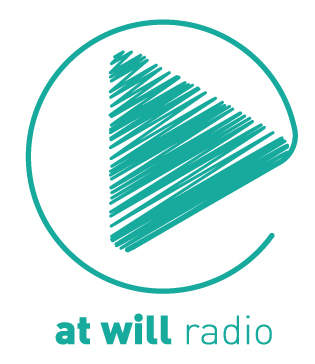 Founded in early 2016, At Will Radio’s co-founders bring experience and creativity from two entirely different industries and disciplines. Ushkowitz, who rose to prominence as a Tina Cohen-Chang on the hit TV show Glee, is a long-time Broadway actor, and published the self-help book Choosing Glee in 2013. Malnati, an entrepreneur and restaurateur, has been named to both the Forbes and Zagat 30-under-30 lists as the managing partner at Toro NYC, as well as a consultant for Chicago’s beloved Lou Malnati’s deep-dish pizza empire. For more information, visit www.atwillent.com or subscribe to At Will Radio podcasts on iTunes.